This is a fun one that my kids like to help me make. Its very simple, very quick, very healthy and very delicious! If you are more of a traditionalist, you can use mayonnaise instead of yogurt, but the yogurt is a healthy alternative. 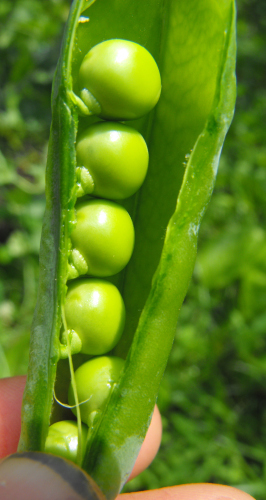 Dice the hard boilded eggs and add to peas. Add mustard, salt, and parsely to taste. Mix together with plain non-fat yogurt. Spoon pea salad onto romaine lettuce. 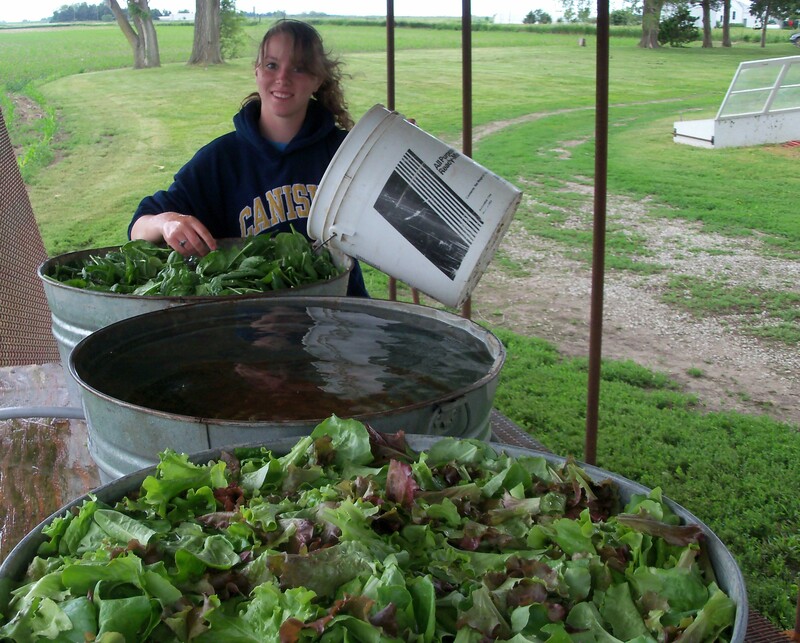 You can mix everything with the lettuce at the same time, but the lettuce will get soggy if there are any leftovers! Remove outer leaves and core from the cabbage and cut vertically in thin slices. Place the olive oil in a casserole or heavy pot with a lid and toss the cabbage to coat with oil. Mix in the onion. Add the vinegar and top with the butter. Bake, tightly covered, about an hour in a 325º oven. Stir the contents of the pot once about halfway through the cooking. 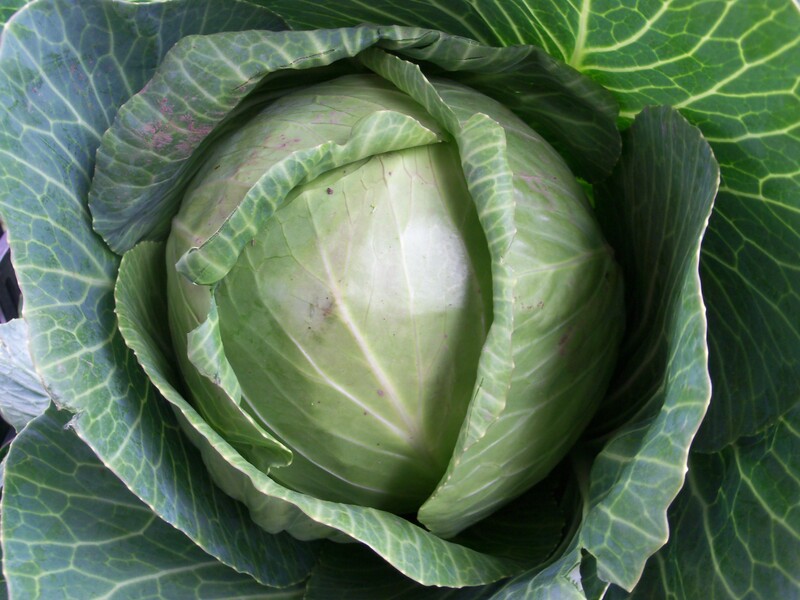 The cabbage should be thoroughly cooked when done – Nice and soft! Peel, core and grate the apple. When the cabbage is finished cooking, stir in the shredded apple and jelly. Allow to rest, covered tightly, about 10 minutes and serve. You know the best thing about cabbage it can really make a meal delicious! And if you live in Nebraska, you are very familiar with a Runza (R). But individually stuffing bread can be very time consuming and some of us (mostly me) don’t want to spend that much time in the Kitchen. So I, like so many others, simplify things and turn this into a yummy casserole. Ryan can find you a beautiful head of cabbage and if you have a food processor, shredding your own head of cabbage isn’t hard – although I like to use my big Chef’s knife to cut it up. Enjoy! Pre-heat the oven to 375 oF. Brown the hamburger and onion in a large pan, then drain. Return the meat to the pan, add 1/2 cup of water and add the cabbage to steam. Simmer until very soft- this may take awhile. Mix the meat, onions and cabbage together. Spread the meat mix on the bottom of a 9X13 pan. Spread the cheese on top of the meat mix. Place crescent rolls on top and pinch together. Bake for 35 to 40 minutes. Cover last 10 minutes to soften crust. Perfect for Runza lovers and so much easier than making individual ones. You know I wish I could tell you that I love and eat everything we grow! And I could – but it wouldn’t be true. So this week, I’ll be leaning on Simply In Season for a recipe using Beets!